PIM over CPRI software lets BTS Master MT8220T and MT822xB handheld base station analyzers make passive intermodulation (PIM) measurements from the ground for the first time. By eliminating the need for network operator installation and maintenance crews and contractors to climb the tower to test for PIM, the new BTS Master-based solution is a much more cost- and time-efficient tool for ensuring optimal operation of wireless networks. If the BTS Master with PIM over CPRI capability detects PIM at the ground level, the network operator can dispatch a tower crew to perform a traditional RF PIM measurement using the Anritsu PIM Master MW82119B battery-operated, high power, portable passive intermodulation analyzer. For rooftop base stations where PIM is detected, the Anritsu PIM Hunter™ test probe can be used. If the system is PIM-free, the network operator can conduct other tests to locate issues affecting the site, such as interference. The BTS Master handheld base station analyzers combine 30 analyzers into one to meet virtually every measurement need at a base station. 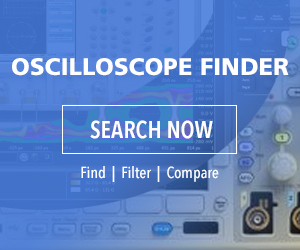 It includes 20 MHz bandwidth modulation for high-quality testing; a vector signal generator with frequency coverage of 400 MHz to 6 GHz for comprehensive DAS and receiver testing, and sweep modes for reliable interference hunting and analysis. A convenient touchscreen GUI allows measurements to be performed quickly and easily, even in bright sunlight.